I’ve had the sourdough blues. It started out well enough: the loaf pictured here was my first leavened entirely by wild starter (as opposed to commercial yeast). By then I’d nurtured the teeming colony of lactic acid bacteria (LABs) and various yeasts for almost two weeks, feeding it once, and then twice a day until the blob settled into a familiar pattern of eating, rising, falling. What magic, our microbial world! Baking became a weekend routine. 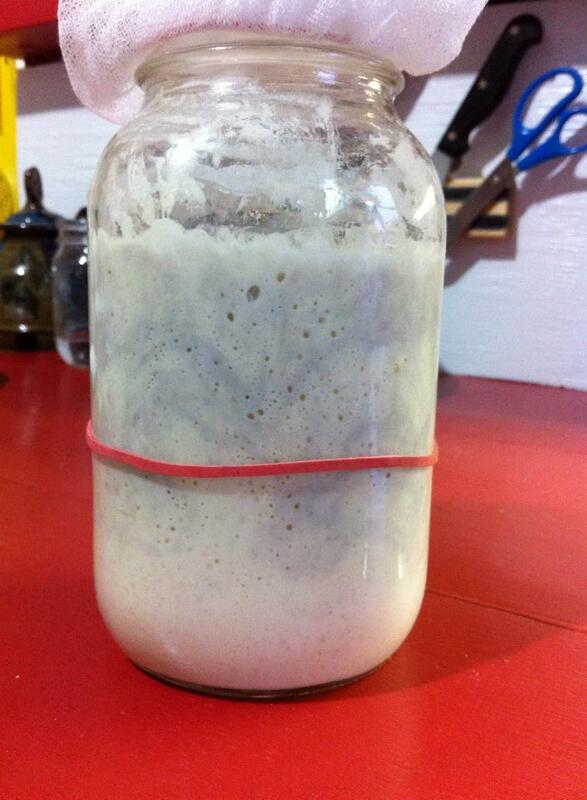 I would pull ol’ Starter out of the fridge on Friday, feed it a couple times, and start the dough on Saturday evening, methodically and patiently kneading it until it was ‘satiny,’ to quote my Classic Sourdoughs primer. Sunday was bake day. There was never a bad loaf in those four or five weeks, though each differed slightly depending on how long I’d let the dough rise and how long it baked. Life was good. We ate bread smeared with apple butter and bread dunked in chili. 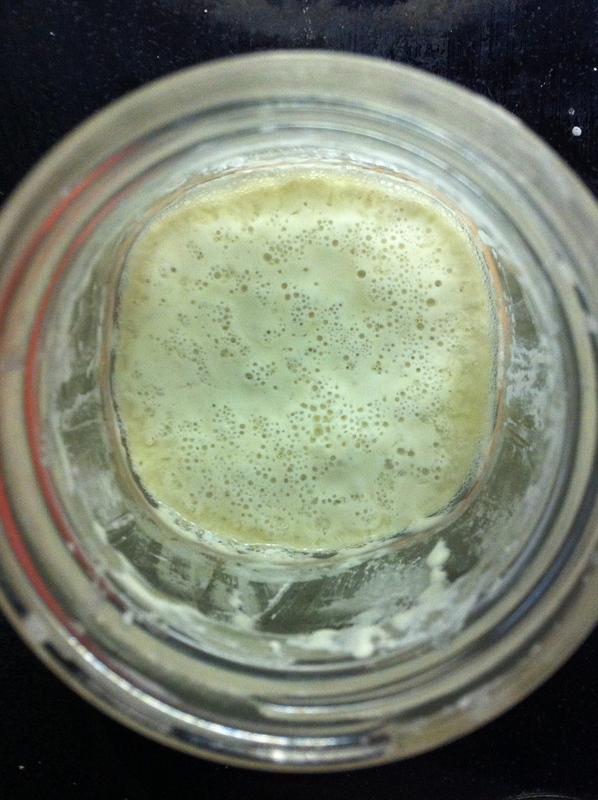 I got smug, priding myself on making successful sourdough while avoiding all of the fussy precision of the online baking world with its hydration ratios and scales and temperature control. Karma or coincidence intervened–I’m not sure which. One Saturday morning in early November I rushed downstairs to feed and marvel at Starter only to find it looking slightly grey. I cast off half and fed it as usual, figuring that I’d simply left it too long between meals, but by the afternoon that greyish hue had morphed into a purplish demon snaking its way through the entire blob, top to bottom. I panicked but resolved to keep feeding it, hoping it would sort itself out. I erred on the side of not making bread that weekend. Starter just had a little bug; these things are resilient, I’m told. By Sunday things were worse. 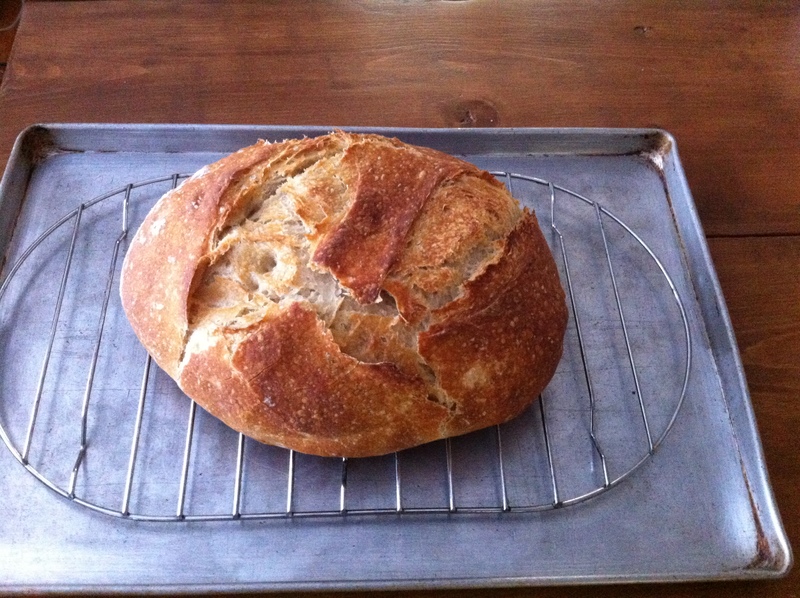 I turned to the online sourdough forums and Facebook for help. Prognosis: not good. It might be some kind of unwanted bacteria or fungus. As a last ditch effort, I consulted Classic Sourdoughs for help, following the instructions for ‘washing a culture,’ which simply means to massively dilute it, and give it a really warm atmosphere (32º C) to hang out in for 24 hours. November warmth is hard to find in an uninsulated Canadian home, so A came up with the clever idea of fashioning a cozy home for Starter using a cooler and a mason jar of boiling water and keeping the whole contraption in front of one of the furnace vents. Within a day things were looking up. The purple snake was gone and Starter was frothy and bubbly, albeit a little more acidic smelling than usual. Joyous, I returned it to its regular feeding schedule, and decided to make some za’atar focaccia. We ate it. No one died. Back into the fridge Starter went, divided in two this time (one large jar as the main starter and a smaller one as an insurance policy). But then it did a curious thing. It ate voraciously in the fridge–usually the cold makes it dormant–and the purple snake reappeared. It was worse in the main jar, but present in both. Dejected, I considered tossing them out, but I couldn’t bring myself to do it. Plus I was busy. I moped. Which brings us to this week. I was trying to make space in the fridge when I noticed both jars of starter in the back. The purple is gone! I don’t know how or why; perhaps the acidity or cold has killed off whatever it was, or perhaps it only lies in wait. Either way, I think I’m ready to try this again, bolstered by the patient wisdom that age brings (it was my birthday yesterday) and the prospect of learning, through sourdough, about resilience in a changing world.